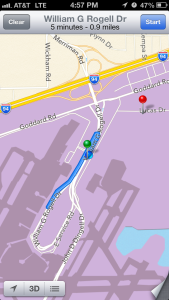 Bottom Line: Make sure that iOS6 Maps actually takes you to the pin, and not just nearby. 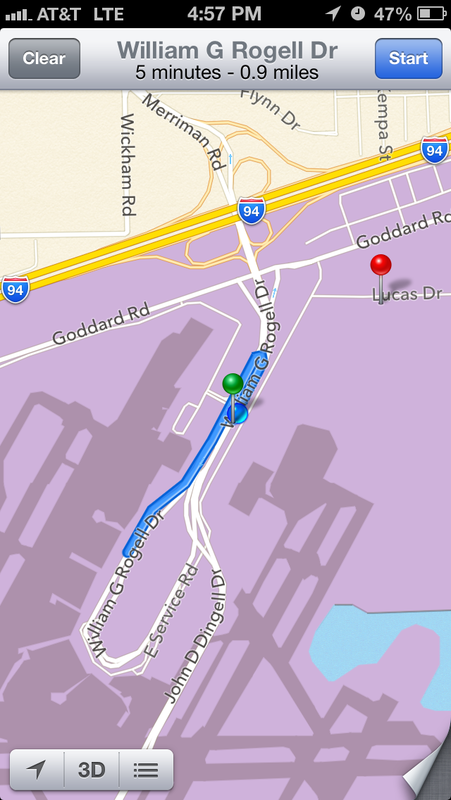 Despite all the ruckus, I really like iOS6 Maps. I think it’s a tremendous upgrade on the old Google Maps. The turn-by-turn is phenomenal, the activation of the locked screen and 1-tap return to directions are great… the 3D models of bigger cities (bigger than ABQ at least) are amazing. I’ve depended on it heavily over the last several months as I did a rural rotation in an unfamiliar town in Northern NM as well as residency interviews all across the country. It has been a lifesaver; I can’t imagine how much more difficult navigation would have been if I’d been trying to use the old Google Maps (though the new one seems pretty good). I simply don’t understand the people that act like this is some catastrophe — it’s not just good, it’s great. Make sure you're at the red pin! At first I was a bit worried, as I had no idea where it had led me (I was looking to return a rental car before a flight in the first instance, hence the concern and time crunch). Luckily, I noticed the discrepancy between the blue path and the red pin, and so I simply found my way to the pin, which was no more then a few hundred yards away. Figured I’d throw this tip out there, since it’s happened to me twice now: if iOS6 Maps seems to have taken you to the wrong location, double check and make sure that you’re at the red pin.